The National Health Insurance Company, Daman, will cease printing health insurance cards across all its health insurance plans starting from January 1, 2019. The decision to finally cease card printing follows the successful implementation of its secure online platform which allows medical facilities to check health insurance coverage using a digital Daman or Thiqa card available from their respective apps or an Emirates ID, said a statement from Daman. The initiative to replace physical health insurance cards with digital alternatives or Emirates ID was officially introduced in April last year. 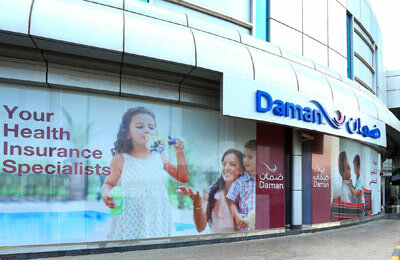 Daman began its phasic approach to cease card printing from last year, starting with Thiqa members. Commenting on the move, CEO Dr Michael Bitzer said: "This is an initiative that both Daman and Thiqa members have supported and taken advantage of from day one through the convenience offered by not needing to carry a health insurance card any longer when medical assistance is needed." "Changing the way health insurance is administered for the better what we envisage from our investments in technology. Members, medical facilities and partners can be confident that we will continue to leverage modern technology to provide them with services and experiences that are unique to Daman," he noted.